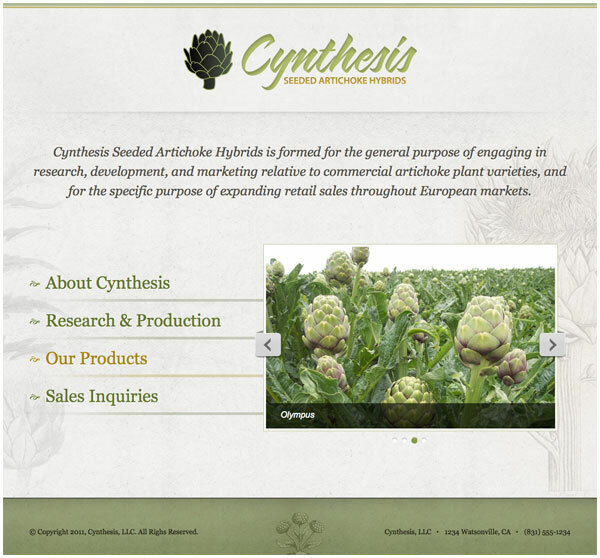 Cynthesis Seeded Artichoke Hybrids required a very small web presence, a static brochure site to serve as a contact point for referrals. 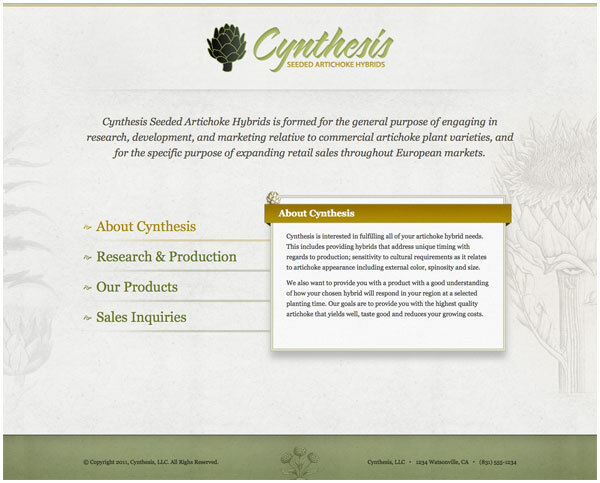 Provided a single page site with dynamic content areas to showcase a variety of content, including a gallery. This efficient design provides the benefit of a multi-page, multi-featured site while staying under budget and exceeding the clients expectations.